IT underpins everything. So it’s no surprise that Monash has dedicated a whole faculty just to teaching and learning IT. In fact, we’re the only university in the prestigious Group of Eight that has. So you can be sure that, for us, IT isn’t just a side interest – it’s what we do. With an entire faculty dedicated to studying and researching IT, when you join us, you can immerse yourself in virtually any of the major areas of IT – from technical computing, and business computing, through to multimedia. And you’ll be learning from and working with experts across the IT spectrum. IT not your only passion? That’s ok, too. We’ve designed our courses to give you plenty of choices. So if you love arts just as much as IT, you can do both. Or commerce, or design, or science… We want you to love what you do, and do what you love. IT at Monash focuses on practical, hands-on experience that gives you real-world knowledge and skills. We want you to question. We want you to wonder. We want you to do it, in order to learn it. Our industry-based learning program, for example, offers you industry placements that count not just towards your degree, but also to future employment success. Each year, 100 per cent of our IBL students who seek employment receive graduate job offers. Our teachers use creative ways to help you get the most from your time here. 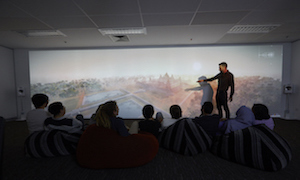 For example, our studio-based learning techniques provide valuable opportunities for ‘learning by doing’. We use the latest technology to make our lectures interactive and fun. And our peer assisted study sessions encourage you to use your developing expertise to help other students, and enjoy the same support from your classmates. IT is changing the world. And so are our researchers. Even as you're reading this, a Monash IT researcher is investigating how IT can better support and promote health and medicine, productivity and innovation, or social inclusion. Or exploring IT's role in supporting sustainable practices in water,energy orthe manufacturing and delivery of goods and services. And the world is benefiting. 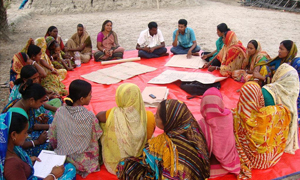 Our collaboration with OXFAM, for example, in remote communities of Bangladesh, is using mobile technology to improve the quality of work and life for female farmers. And our research partnerships with global drug companies have developed algorithms that are predicting the effectsof different drugs on the human body and supporting better drug design.